At the DRLC event on the Fox Studios lot, Hamamoto and guest artist Piotr Iwanicki did a live cha cha cha performance. They've done other fun projects together, including one in Japan featured below. 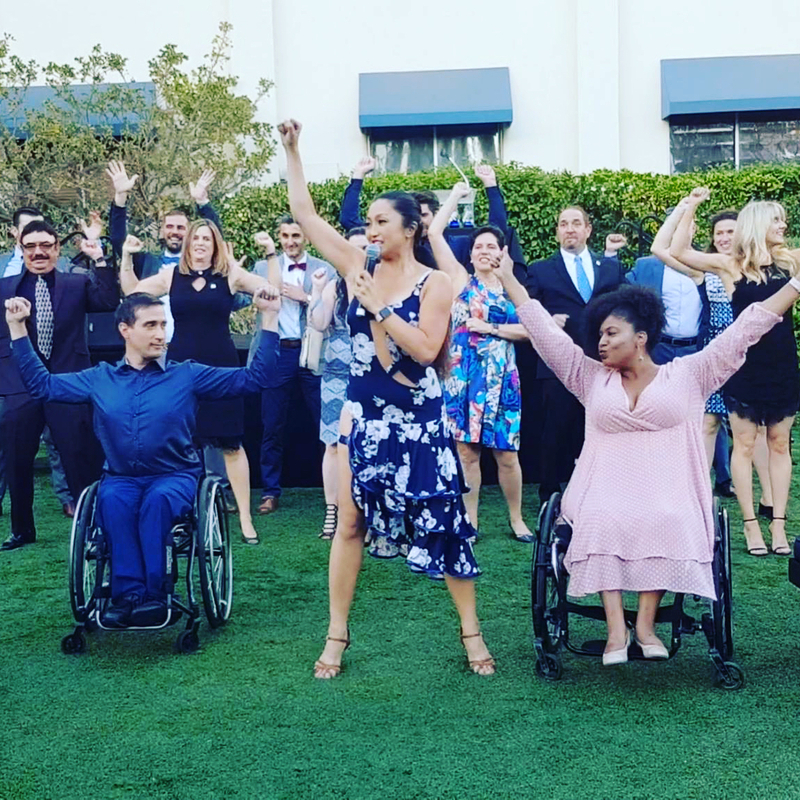 “Thank you, Apple, for continually creating and innovating technology that everyone, including people with disabilities, can use,” said Hamamoto later on the dance group's Instagram. More on Apple's accessibility features here. If you missed their video with Sady Paulson when it made the viral rounds last year, you should watch it again. The people behind this work at Apple really mean it, and some of them are my friends. solutions for people with disabilities. Apple’s built-in accessibility features make them powerful and affordable assistive devices, drastically simplifying the buying process and learning curve for users with disabilities. By including these features within mainstream products, Apple has cleared the way for more advancements in this important field, opening up countless possibilities for people to be creative, collaborative and independent. We cannot be more honored to recognize them for their commitment to the disability community. More of the dance group's inspiring work in the embedded Facebook videos below.